You have seen an outline of the subject matter to be studied. Brief y, the first few assignments build a background in gem properties used in identification and grading, as well as in the methods and tools necessary to put this knowledge into practice. The remainder of the course is devoted to a study of the grading and Valuation of each of the important colored stones and Pearl jewellery. Throughout the course you will learn the identifying properties of colored stones as well as procedures for identification. This knowledge will be reinforced in the gem identification course where practical application is required. The gem identification course elaborates on methods of identification and requires the application of the procedures and properties learned for the identification of stones you will receive. Gems may be described as those specimens of minerals and organic materials used for personal adornment that posses beauty, rarity and durability. The organic materials used as gems are pearl, coral, amber and jet. 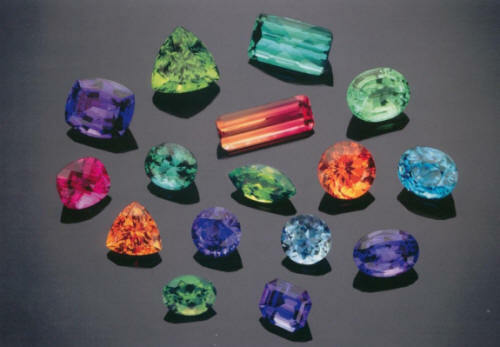 The Subject of gemstones is divided into two classifications: diamonds and colored stones. 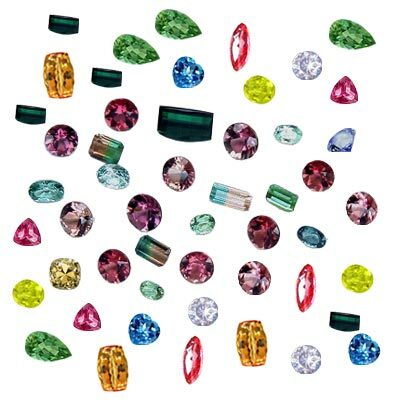 The term COLORED STONES is used in the jewelry industry and refers in its broadest sense to all gem minerals plus organic gem materials, but does not include diamonds. In a narrower sense, pearls are also eliminated from this classification and treated separately; however, they will be studied with colored stones in this course. Unlike good-quality colored stones, diamonds have been consistently available in both quantity and quality to permit standardization general marketing procedures and pricing. The subsequent completion in sales has demanded a specialization that t has not been required of individual colored-stone species. In other words, competitive diamond marketing is a full-time occupation. The sources of rough, the cutting techniques and marketing are totally foreign, to those of colored stones, and thus it has rarely been practical to attempt combine the two other than at the retail sales level. Gemstones are available in an array of beautiful colors which makes them perfect to be used when creating pretty jewelry pieces, such as rings and necklaces.